The Clare Coast Hotels Group provides you with the finest experience available in the North West Clare area by blending high standard accommodation with friendly personal service in a unique coastal landscape setting that is as beautiful as it is tranquil or, of course, can be as wild as the choice of activity preferred. 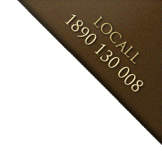 Clare Coast Hotels is a unique collection of hotels owed and run by the Logue Family. Our beautiful hotels are among the most friendly hotels in County Clare, offering traditional Irish Bed and Breakfast hospitality. Clare Coast Hotels are conveniently located in Lahinch, Co. Clare. Lahinch is an ideal location for golfing, surfing and other family friendly activities. Stay with Clare Coast Hotels for a truly warm Irish experience, meeting the locals in the hotel bar, enjoying locally produced Irish cuisine or taking in the fabulous scenery on the doorstep of these wonderful hotels. Nature, tradition and hospitality in one of the most beautiful areas Ireland has to offer... The North West of Clare is probably best known as being home to the Cliffs of Moher but it also offers many unspoiled tourist spots off the beaten track!